Dolores Foley and West Perth president Neale Fong with the special football honouring WAFL legend Brian Foley. THE numbers are impressive around Brian Foley’s career at West Perth. The legendary Cardinals ruckman played 202 games, was fairest and best twice, won a Sandover Medal in 1959 and a Simpson in the 1960 premiership win over the Royals. But there was just one number on wife Dolores Foley’s mind at the weekend when the club presented her with a special football featuring a photo of Brian – 21. That was the number ‘Blue’ Foley wore and it is 21 years since his death from a heart attack. “And I’m here receiving this wonderful trophy today,” Dolores told Community News on Saturday before West Perth hosted Claremont at Joondalup Arena. The famous West Perth No. 21 marks. 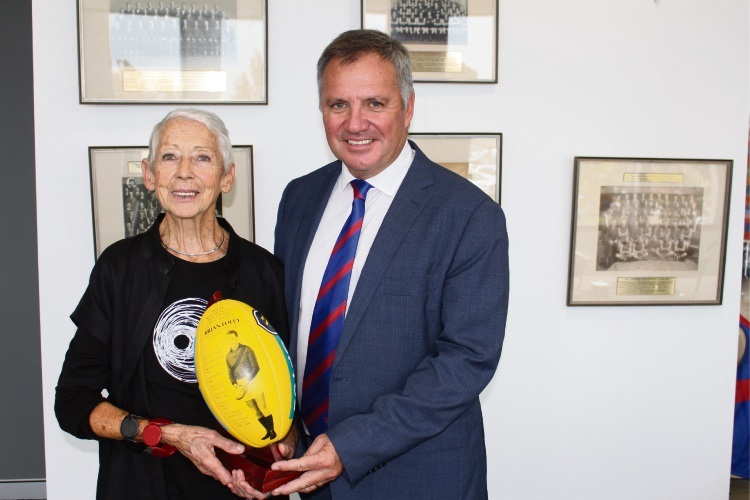 The Falcons had invited her to their luncheon after they chose Foley as the legend to adorn their match ball at Joondalup this season. “He was always our fairest and best,” Dolores told the West Perth faithful. 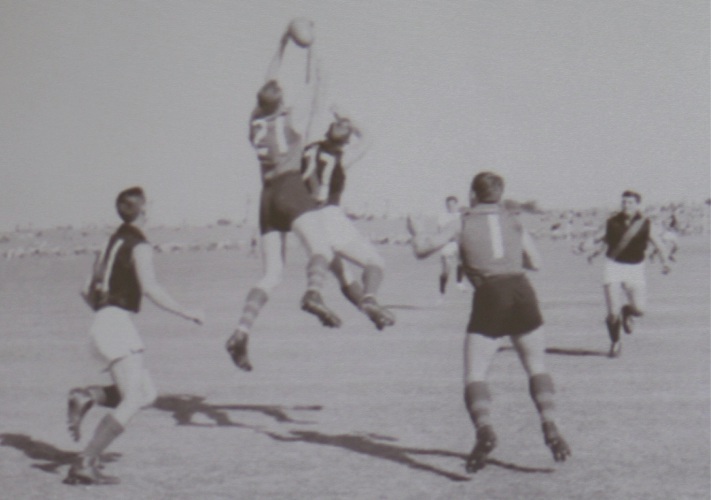 The lunch featured photos of Foley and audio of the last five minutes of the 32-point 1960 grand final win, in which the Simpson Medallist kicked three goals. 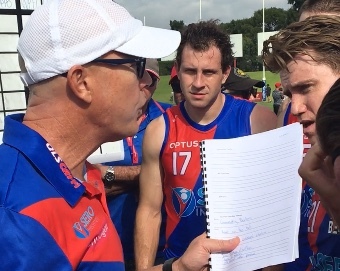 West Perth was unable to continue the celebrations on the field, with Claremont thrashing the Falcons in their first home game of the 2019 season. Geoff Valentine addresses his players. Down on the possession count and down on tackles, coach Geoff Valentine had a simple message for his players at three quarter-time. The Tigers had simply outworked the Falcons. Darren Harris’ boys kicked six goals to one in the premiership quarter before winning 14.4 (88) to 4.8 (32). The Falcons will be looking to bounce back against South Fremantle at Fremantle Oval this Sunday.